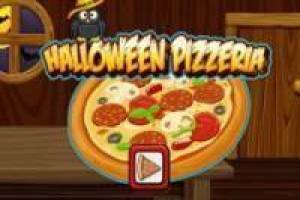 Halloween monsters are also entitled to a good meal and that is why we are going to open a special pizzeria for Halloween. We will have to serve all our clients in the shortest possible time to get extra money. Look carefully at the ingredients that the pizza that is asking for and once you put them all on the dough, we will press on the button shaped oven. Once done, it will be automatically delivered to the client and we can move on to the next one. You must make money to cover the objective of the level and be able to move on to the next one. As you progress, they will teach you new recipes and give you more ingredients to carry them out. 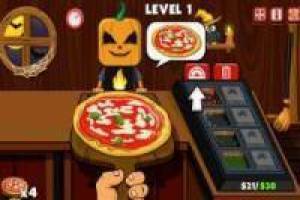 Feed the Halloween monsters in your pizzeria. 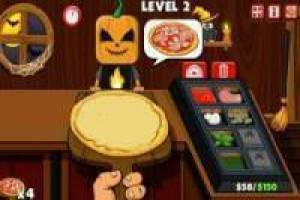 Enjoy the game Halloween pizzeria, it's free, it's one of our halloween games we've selected.